Gigabyte is back in the news feed with a new computer case called XC700 Xtreme Gaming. This new case has been designed for demanding gamers and sports enough space for even the largest computer components currently on the market so gamers will be able to build a beast of a machine with ease. 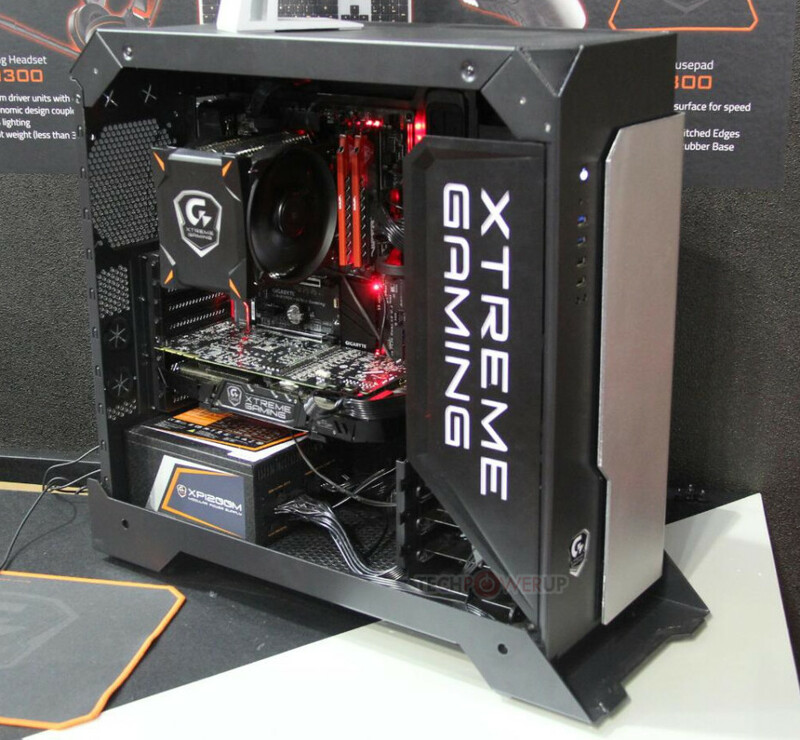 The XC700 Xtreme Gaming is a full-sized tower case that is made of aluminum with the exception of the left side panel, which includes a tempered-glass side panel. The case features RGB LEDs inside and sports a large Xtreme Gaming logo in the area where various optical and hard drives can be located. The XC700 Xtreme Gaming is compatible with E-ATX, ATX, microATX and mini-ITX motherboards and includes space for up to eight expansion cards. Sadly the number of drives the XC700 Xtreme Gaming supports is unknown but the case supports liquid cooling solutions and arrives with support for up to three 120 mm cooling fans, which can be located along the rear, bottom and front panels. This is everything that we know as of now so we cannot tell you anything on pricing or on a possible availability date.